The series of ACEM Congress (The World Congress on Advances in Civil, Environmental, and Materials Research) was initiated from "The US-Korea Joint Seminar on Critical Engineering Systems (Co-Chairs: Alfred Ang (Univ of Illinois at Urbana-Champaign) and Chang-Koon Choi (KAIST)" in 1987. 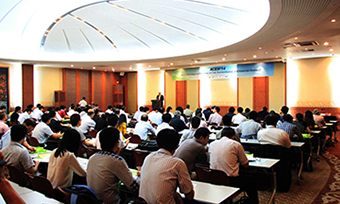 With the increased number of participating countries, the Joint Seminar was developed into "The International Symposium on Wind and Structures (2000)" in association with "Wind and Structures, an International Journal" of Techno-Press. 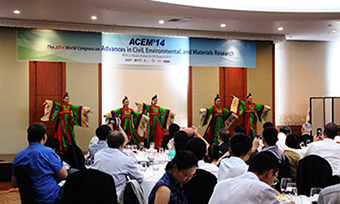 In 2012, Thus ACEM Congress was organized as a cluster of six independent international conferences, namely 'Wind and Structures', 'Concrete Construction', 'Environmental Research', 'Membrane Water Treatment', 'Offshore Engineering', and 'Materials Research.' It is now held even number year in different locations (2012, 2014, 2016). The Congress addresses the current issues involving constructions based on new technologies in design, structures, and materials and sustainable protection of environment, which are all interrelated issues critically important for the human beings, with many problems waiting for solutions. 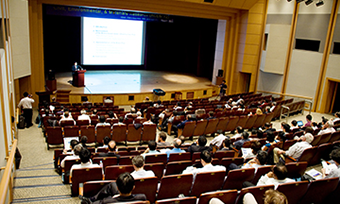 As the conferences are organized independently but interrelatedly in a cluster, it does not only offer a wide spectrum of topics to the participants, but can also be of great help in searching for interdisciplinary solutions to the current problems.